My love for shower hooks in DIY projects has become an obsession. Is anyone else always losing earrings and having their necklaces get tangled in their jewelry box? Yup, that’s me over here. So, I finally decided that I’ve had enough. I got creative and bought this cute shelf at none other than Target along with a pack of shower hooks. It was so easy. All I did was hang this shelf high enough in my closet that my necklaces wouldn’t hit the ground and once it was secure, I placed the shower hooks on it and lined all my earrings and necklaces on each hook. And the shelf even had room for all my bracelets to rest on top. Now it looks like I’m so organized! The best part though, no more spending time trying to unknot all my necklaces when I pull them out of my jewelry box. Woo hoo!! This past fall, I decided to do a little redecorating and picked up some mason jars at Michaels to add a little ambiance to my fireplace mantel. I think it turned out quite well. I love that I can change out the floral to match pretty much any season and holiday. This was my inspiration and it’s also where my obsession with mason jars began. 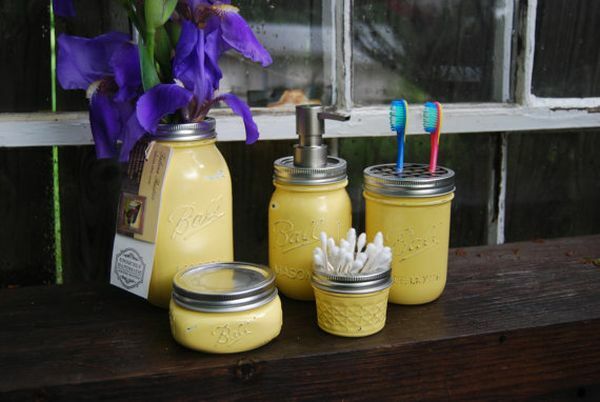 When searching Pinterest for more things I could do, it blew my mind what people came up with for mason jar uses. Here are 5 of my favorites! Not only do that add a unique look, but they offer practical uses too. The last one is my absolute favorite and I have a feeling I might go a bit overboard with it…. 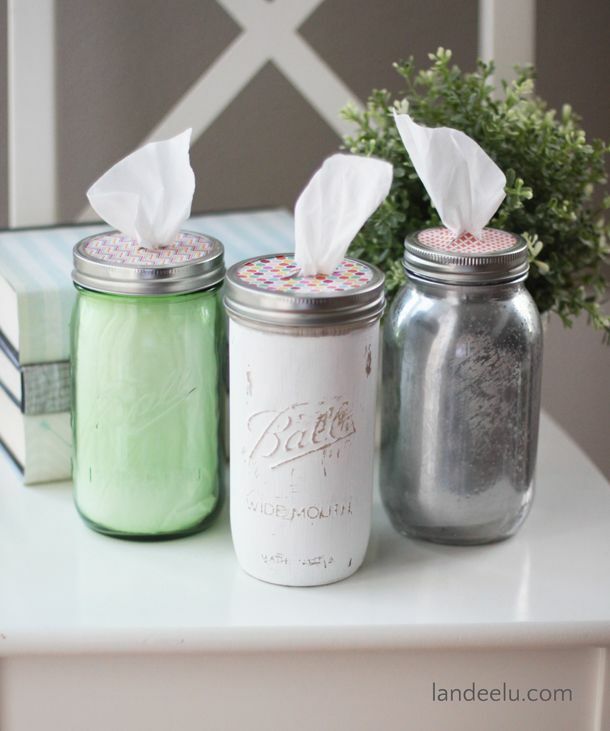 Do you have a mason jar obsession? Share your projects with me in the comments! This is such a great way to hide those lovely cardboard boxes and you can create it to match any part of your home decor. This may be my next project. I love love how this looks and would be way cheaper than buying a set at the store. This is so fancy. What an awesome way to add a little fun and tidiness to the kitchen. I have to read a bit more into the labels to see if I have the craftiness for it, but gosh I love them. I’m loving these for the kitchen and guest bathrooms. And my personal favorite. Whoever actually thought of this is genius. I’ve seen them used to store bathroom supplies, crafts, kitchen goods and so much more. 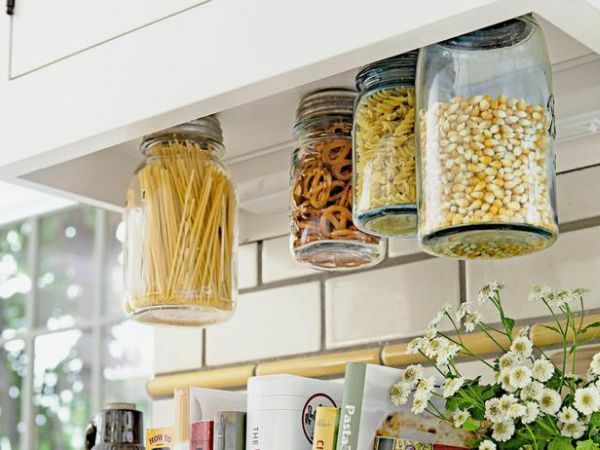 The perfect way to organize without taking up so much counter and desk space.